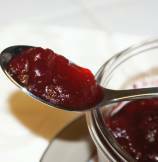 For an occasion when you want something different, Cranberry and orange butter is a delicious accompaniment for Thanksgiving Turkey dinner. 2. 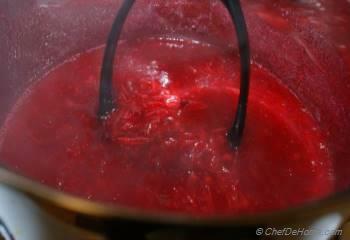 Bring 1 cup water to boil in a heavy bottom sauce pan. Add cranberries and cover. Heat till all berries pop. 3. 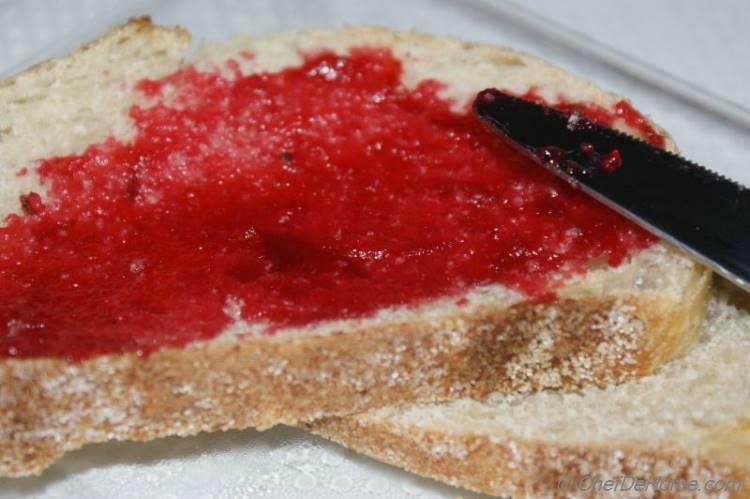 Uncover pan and continue cooking for 10 minutes or till all berries are soft. 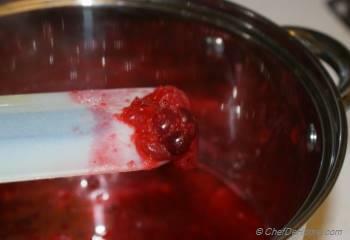 Now mash berries with a potato masher or fork. 4. 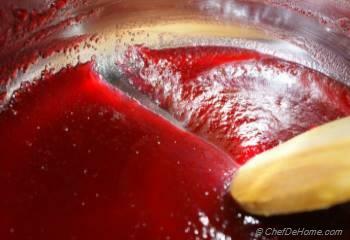 Sieve the mashed cranberries juice. Add juice and zest of 1 orange and butter to the juice. Return to heat. Add sugar and stir till sugar has dissolved. 5. Bring the mixture to boil and then simmer for 30 minutes till the mixture is shiny and woden spoon run through bottom of pan leaves a clear trail. 6. 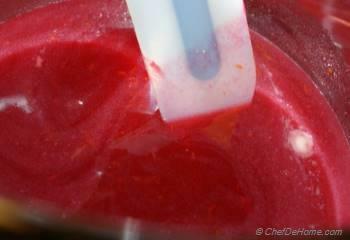 At this point cranberry orange butter is ready. You can keep it in sealed air tight container for upto 6 months - 1 year Or use it fresh. Refrigrate the leftovers if container is not sealed. If you can't find fresh cranberries for this recipe, use frozen berries instead, although they won't pop like fresh fruits when heated, and they soften much more quickly. 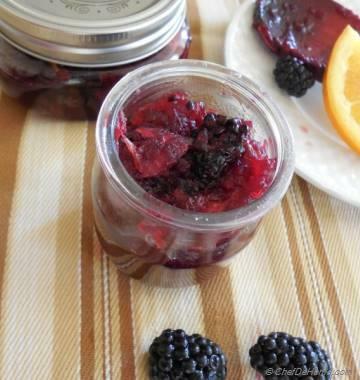 Look for berries that are dry and bright red, and discard any that are shrivelled or have brown spots. 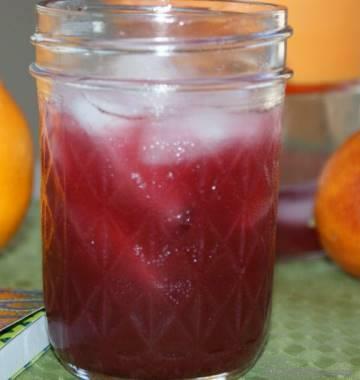 Cranberries can taste quite sharp, but when mixed with sugar they give a pleasant tang. Stuart, its good to be health conscious. 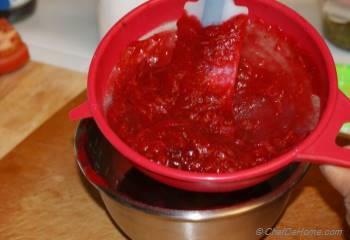 You can also make Cranberry Butter with sugar free sweeteners like Splenda or Truvia (my favorite). Also this homemade butter has much less sugar then the Fruit Preserves we buy from stores. 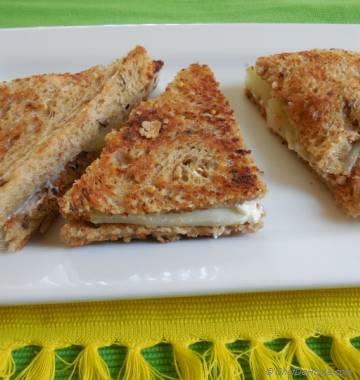 Thats why its homemade and best since you can alter ingredients to make it best suitable for your health. Happy Cooking. I really like cranberries. This looks like interesting recipe. Thanks for sharing. 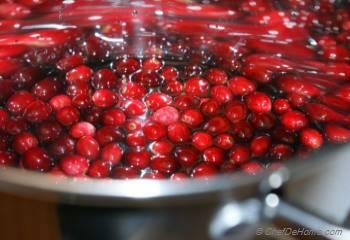 Thanks Monica, I always keep cranberries in freezer for those days when they are not in season. 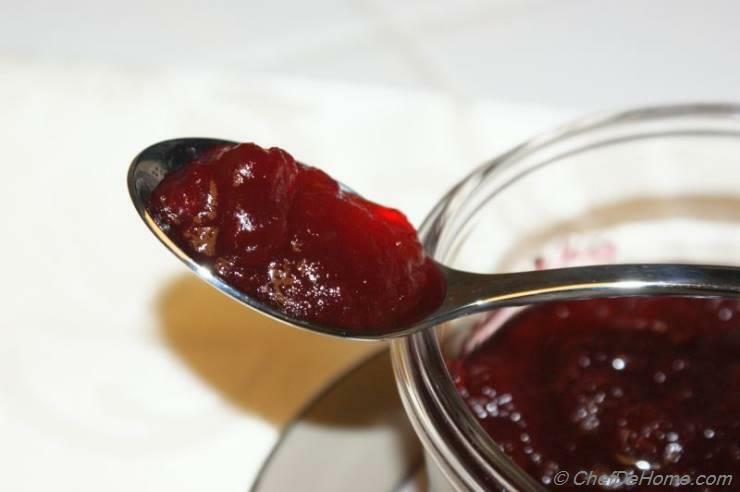 Cranberries with orange butter is one of my favorite too. Was just looking for a recipe for a cranberry based condiment. Perfect. Love it. Pictures look so great. Looks amazing! I make apple butter in my crockpot every year. I may have to try this out. Sounds wonderful!